Strike King KVD Finesse Double Willow Spinnerbait - 1/2oz Gizzard Shad. Kevin VanDam and Strike King have collaborated to create a great all-around spinnerbait that produces in a variety of situations. This smaller, re-designed skirt presents a more naturalized color pattern and a pulsing action that entices bass to bite. 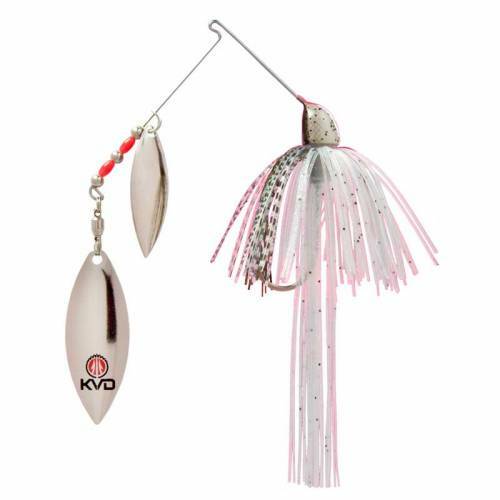 Features KVD logo on the spinner blades, ball bearing swivel and a masterfully painted head.